We have exclusive prepaid rates designed for the Hawaii high seasons. Save up to 25% on Jeep Wranglers, Minivans & SUV's for the months of June, July & August. 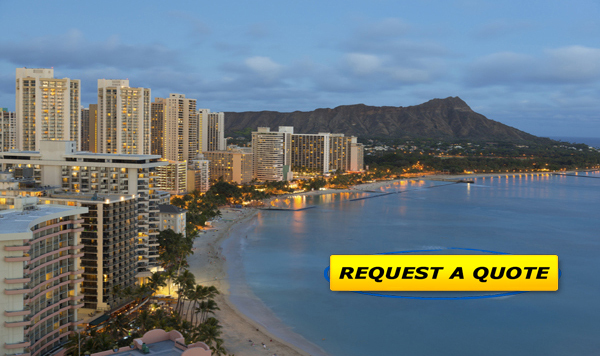 Request “Hawaii Deal” when you call 1-800-655-7989 or fill out our Custom Quote Form. Discount percentage based on availability & the agency's retail rate. Please call or use our Form for a Prepaid Rate Quote. Subject to availability, prepay conditions apply. Two days advance notice required.